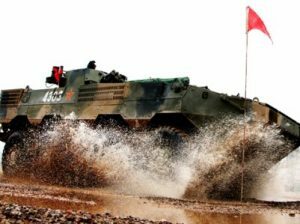 China intends to start developing "plasma artillery"
China has finished accepting applications for participation in the tender for the development of "plasma artillery" technology. A scientific group from the Academy of Armored Forces received a patent for the use of the principles of magnetized plasma in artillery systems in 2015 at the National Intellectual Property Office, reports TASS. As explained in the information on the website of the Chinese People’s Liberation Army (PLA), the technology involves the use of an electromagnetic field for firing projectiles, which allows them to increase the speed and range of their flight. Chinese designers are still only on the approaches to the creation of "plasma artillery", its appearance as a full-fledged weapon is possible only in the distant future. According to the specification of the patent, the instrument will be made of magnetized material covering the trunk, and a generator that forms a magnetic field inside the trunk. Moreover, the strength of this field gradually weakens from the walls of the trunk to its central internal axis. When fired, the resulting gas is ionized, turns into a plasma and by means of a magnetic field is attracted to the inner walls of the barrel, covering them with a continuous layer. This, according to the authors, reduces the friction force of the projectile, significantly increases the power and range of the shot, and also reduces the wear coefficient of the barrel. HMD Global held a presentation of new Nokia smartphones. 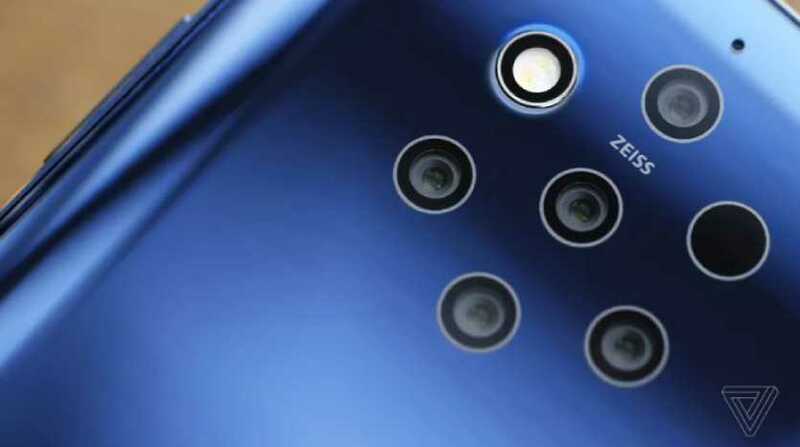 They turned out to be already 5 pieces, but the most interesting is Nokia 9 PureView with five main cameras. Novelty received 5.99 ″ pOLED-screen with a resolution of 2880 × 1440 pixels. There are no cutouts, but there are small frames above and below. Responsible for the performance of an 8-core Snapdragon 845 processor with graphics Adreno 630. As well as 6 GB of RAM. But the main "feature" of the device is photo capabilities. The smartphone has 5 main cameras: three monochrome modules with an aperture of f / 1.8 and two normal ones. With their help, "maximum dynamic range" is achieved and data on the depth of the image are obtained. Adobe Lightroom is preinstalled to handle captured images. It is possible to export photos in RAW DNG format. After saving the photo, you can change the focus. Unlocking takes place using a fingerprint scanner built into the display. Worth Nokia 9 PureView $ 699. Available in March 2019. In addition, HMD Global showed 4 more smartphones, among which there is a push-button Nokia 210 with 4G support. Worth $ 35. Nokia 1 Plus received an IPS-screen with a diagonal of 5.45 ″, the main camera at 8 MP and a front-facing camera at 5 MP. Runs on Android 9 Go. Worth $ 99. On sale from mid-March. Nokia 4.2 received a drop-shaped cut-out for the front-end, a Snapdragon 439 processor, 2/3 GB of RAM and a 3000 mAh battery. The operating system is Android 9.0 Pie. Worth $ 170. On sale from mid-March. Nokia 3.2 is equipped with a 6.26-inch display with a resolution of 1520 × 720 pixels. Responsible for the performance of the Snapdragon processor 429, 2/3 GB of RAM. Китайское государственное новостное агентство «Синьхуа» (Xinhua) приняло на работу первую в мире цифровую телеведущую новостей. Необычная ведущая по имени Синь Сяомэн (Xin Xiaomeng) была разработана совместно с поисковой компанией Sogou и дебютирует в начале марта. Ведущая будет освещать ежегодные заседания Всекитайского собрания народных представителей и Всекитайского комитета Народного политического консультативного совета Китая (это главные политические события КНР). Стоит отметить, что в ноябре прошлого года на "Синьхуа" появился киберведущий мужского пола Чжан Чжао. По состоянию на данный момент он записал уже более 3400 новостных выпусков общей продолжительностью свыше 10 тыс. минут. In theory, a new weapon can immobilize one person or a whole group. Use it intend against terrorists. The Chinese have begun to develop a system of non-lethal weapons that can cause severe pain in a person with microwaves. They want to use it against terrorists, writes Global Times. 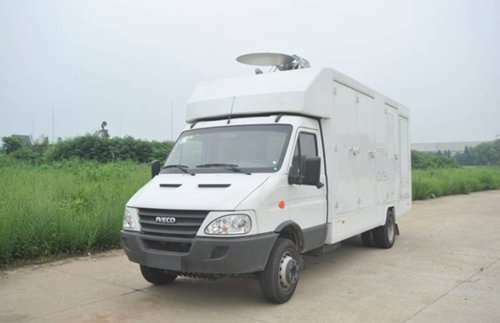 The Beijing Institute of Radio Measurements is working on the development. The basis of the weapon laid microwave radar technology. It was she who pushed for the creation of household microwaves. Scientists say that the microwave active containment system can immobilize the target, paralyzing the subcutaneous nerves and causing pain in the target. At the same time, the weapon does not cause permanent injuries and does not cause future health problems. The system will have two modes of operation - point mode and sector mode. The first is designed to attack certain parts of the body of one person. The second can be used to contain a terrorist group. It is envisaged that the police and the coast guard of China will use these weapons. The installation will be quite light and compact, it can be hidden in a minibus. The future is closer to us than it might seem: a lot of Ukrainians are waiting for microchips. The American company shocked everyone: microchips were introduced to its employees for access to the Internet, Znaj.ua reports. This provoked a major scandal, especially religious activists, who consider this a sign of the appearance of the Antichrist, are outraged. At the same time, experts assume that in the future everyone will have chips. This will facilitate the purchase in the supermarket, identification. Recall Android-smartphones continue to violate the ban on collecting information about the user. It is reported that about 17 thousand applications are spying on us. This happens through a “legal” advertising indicator, which is used to select advertisements. But there are so-called permanent identifiers associated with the device: the MAC address, IMEI, and Android identifier. “Privacy disappears when applications collect persistent identifiers,” said the lead researcher. Google policy provides that identifiers can be collected, but not combined. And according to the International Institute of Computer Science, only a third of applications use only one type of identifier.